It's Monday and I am going to quickly throw out a couple of freebies for "Manic Monday" over at Classroom Freebies. 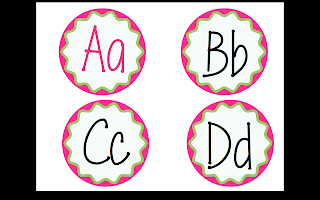 These are sets of Word Wall letter labels. You could use these in a lot of different ways. I plan on printing them out a little smaller and using them on my word wall. 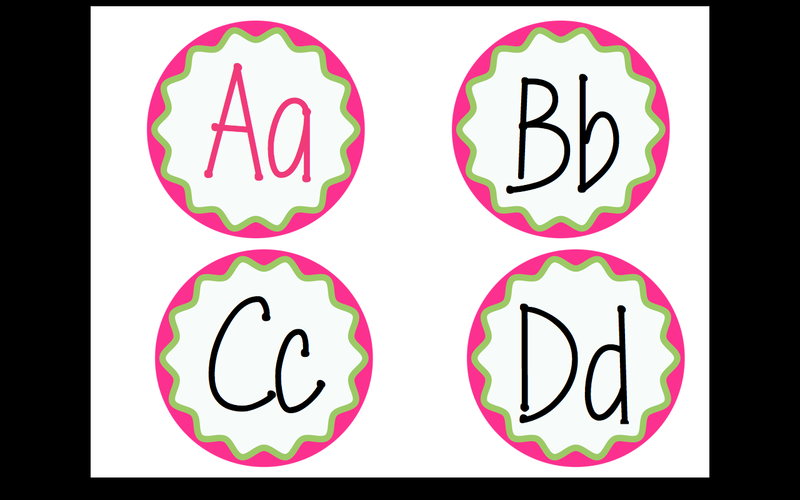 You could also use them for ABC order games, letter identification activities or as flash cards. There are two sets so pick the one that works for your theme. Click HERE for the pink/green set and click HERE for the red/blue set. Leave a comment to share how you plan to use them in your classroom! Love how you made the vowels pink! So smart to make your vowels another color...now I have to go back and edit my freebie...ha! Thanks for the freebie Stephany! I linked up too! These are adorable! and I love that you made the vowels a different color to help students differentiate between them! I found you through Manic Monday and I'm looking forward to seeing more! Thanks for stopping by i already follow your fabulous page!! Gclub games that are happy to find a simple.